This week, the Superman tales written by British comic book legend Alan Moore. From the cracked mirror look at the politics of Krypton in “For the Man Who Has Everything” to the tear-jerking epic finale of “Whatever Happened to the Man of Tomorrow” Alan Moore brings a pathos to the Man of Steel. Also, news from the SFR Daily Planet- Tom Welling on Jimmy Kimmel, Bryan Singer on why Superman Returns failed, Bizarro to the rescue, and more. Then, we return to the animated universe of the Man of Steel, as he takes on the menace of Metallo in “The Way of All Flesh” before wrapping it up with a production note. Remember to come back Thursday when we review the Superman comics cover dated July of 2007, including Action Comics #850. Superman Forever Radio 11- Great Scott! 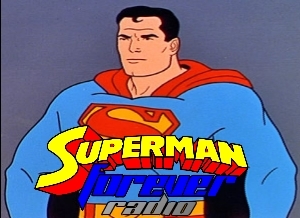 Welcome back to Superman Forever Radio. This week includes a look back at the Superman comic books cover dated October 2006, a look at Filmations‘s New Adventures of Superman, and sad news in the world of Superman. 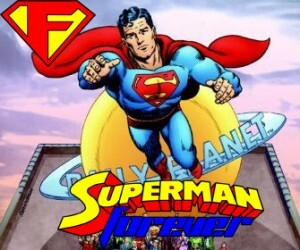 Coming October 31st, 2010- Superman Forever Radio- a new weekly podcast which will focus on Superman and his family of comics, movies, Television shows, Cartoons, radio shows, and more. Featuring the latest news, reviews of the latest and the classic adventures of the Man of Steel, and in-depth looks at a variety of topics throughout Superman’s 70 plus years of history. 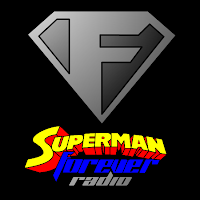 Join host J. David Weter every Sunday for Superman Forever Radio, coming October 31st, 2010.